Brand, S., ed. Space Colonies. New York: Penguin Books, 1977. Available from CoEvolution Quarterly, Box 428, Sausalite, California 94965. Heppenheimer, T. A. Colonies in Space. Harrisburg, Pa.: Stackpole Books, 1977. Also available in paperback (Warner). Astronautics. New York: American Institute of Aeronautics and Astronautics, forthcoming. Holbrow, C., and Johnson, R., eds. Space Settlements—A Design Study, 1977. Report of the 1975 NASA/ASEE summer study on space colonization. NASA SP-413. Available from Superintendent of Documents, U.S. Government Printing Office, Washington, D.C.
O’Neill, G. K. The High Frontier. New York: Morrow, 1977. Also available in paperback (Bantam). __________, ed. Space-Based Manufacturing from Nonterrestrial Materials. Report of the 1976 NASA summer study on space colonization. Progress in Aeronautics and Astronautics, vol. 57, 1977. Available from American Institute of Aeronautics and Astronautics, 1290 Avenue of the Americas, New York, N.Y. 10017. __________ , ed. 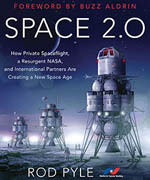 Space Resources and Space Settlements. Report of the 1977 NASA summer study on space colonization. NASA SP-428, 1979. Available from Superintendent of Documents, U.S. Government Printing Office, Washington, D.C.
Van Patten, R. A.; Siegler, P.; and Stearns, E. V. B. eds. The Industrialization of Space. 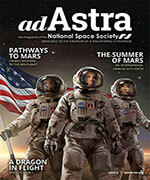 Proceedings of the 23rd Annual Meeting, American Astronautical Society. Advances in the Astronautical Sciences, vol. 36, 1978. Available from Univelt, Inc, P.O. Box 28130, San Diego, Calif. 92128. Abt, H. A., “The Companions of Sunlike Stars.” Scientific American, April 1977, pp. 93-104. Cameron, A. G. W. “The Primitive Solar Accretion Disk and the Formation of the Planets.” In The Origin of the Solar System, edited by S. Dermott. New York: Wiley, 1978, pp. 49-74. Goldreich, P., and Ward, W. R. “The Formation of Planetesimals.” Astrophysical Journal, 183 (1973): pp. 1051-61. Heppenheimer, T. A. “On the Formation of Planets in Binary Star Systems.” Astronomy and Astrophysics, 65 (1978): pp. 421-26. __________. “Secular Resonances and the Origin of Eccentricities of Mars and the Asteroids.” Icarus, in press. Kirshner, R. P. “Supernovas in Other Galaxies.” Scientific American, December 1976, pp. 88-101. American, October 1978, pp. 124-39. Toomre, A. “Theories of Spiral Structure.” Annual Review of Astronomy and Astrophysics, 15 (1977): pp. 437-78. Woodward, P. R. “Theoretical Models of Star Formation.” Annual Review of Astronomy and Astrophysics, 16 (1978): pp. 555-84. Berkner, L. V., and Marshall, L. C. “On the Origin and Rise of Oxygen Concentration in the Earth’s Atmosphere.” Journal of the Atmospheric Sciences, 22 (1965): pp. 225-61. Dole, S. H. Habitable Planets for Man. New York: Blaisdell, 1964. “Evolution.” Special issue, Scientific American, September 1978. Hart, M. H. “The Evolution of the Atmosphere of the Earth.” Icarus 33 (1978): pp. 23-39. __________. “Habitable Zones About Main Sequence Stars.” Icarus 37 (1979): pp. 351-357. __________. “Was the Pre-Biotic Atmosphere of the Earth Heavily Reducing?” Origins of Life, in press. Molton, P. “Non-Aqueous Biosystems: The Case for Liquid Ammonia as a Solvent.” Journal of the British Interplanetary Society, 27 (1974): pp. 243-62. Newburn, R. L., and Gulkis, S. “A Brief Survey of the Outer Planets Jupiter, Saturn, Uranus, Neptune, Pluto, and Their Satellites.” Space Science Reviews, 3 (1973): pp. 197-271. Rasool, S. I., and de Bergh, C. “The Runaway Greenhouse and the Accumulation of CO2 in the Venus Atmosphere.” Nature, 226 (1970): pp. 1037-39. Sagan, C. and Mullen, G. “Earth and Mars: Evolution of Atmospheres and Surface Temperatures.” Science, 177 (1972); 52-56. Baker, W. A., and Tryckare, T. The Engine Powered Vessel. New York: Crescent Books, 1965. Bekey, I., and Mayer, H. “1980-2000: Raising Our Sights for Advanced Space Systems,” Astronautics and Aeronautics, July/August 1976, pp. 34-63. Committee on Science and Technology, U.S. House of Representatives, January 1978, pp. 300-15. Covault, C. “Materials Processing Stress Questioned.” Aviation Week & Space Technology, July 10, 1978, pp. __________. “Platform Designed for Numerous Uses.” Aviation Week & Space Technology, June 19, 1976, pp. 67-73. Fordyce, S. W. “Communications Payloads for Geostationary Platforms.” AIAA paper 78-1695, American Institute of Aeronautics and Astronautics, 1978. Guillemin, R. “Peptides in the Brain: The New Endocrinology of the Neuron.” Science, 202 (1978): pp. 390-402. See also Science, 200, articles beginning on pp. 279, 411, and 510. Hotz, R., and Robinson, C. A. Particle Beam Weapons. Reprint of articles from Aviation Week and Space Technology May 2, 1977; Oct. 2, 9, 16, 1978; Nov. 6, 13, 1978. New York: McGraw-Hill, 1978. Ley, W. Rockets, Missiles, and Space Travel. New York: Viking, 1957. “Materials Processing in Space.” Washington: National Research Council, 1978. Mostert, N. Supership. New York: Alfred A. Knopf, 1974. Pugsley, Sir A. The Works of lsambard Kingdom Brunel: An Engineering Appreciation. Reviewed in Scientific American, April 1977, pp. 144-46. Safranov, V. S. Evolution of the Protoplanetary Cloud and the Origin of the Earth and Planets. Moscow: Nauka, 1969. NASA TT F-677, 1972. Simpson, C. The Lusitania. New York: Little, Brown & Co., 1972. “Space Industrialization—An Overview.” Science Applications, Inc. Huntsville, Alabama 35805, April 15, 1978. Contract NAS8-32197; SAI Report 79-602–HU. Wade, N. “Charged Debate Erupts Over Russian Beam Weapon,” Science, 196, (1977): pp. 957-59. See also Science, 196, (1977): pp. 407-8. Wolbers, H. L., and Shepphird, F. H. “Geosynchronous Information Services Platforms in the Year 2000.” AIAA Paper 78-1636, American Institute of Aeronautics and Astronautics, 1978. Abelson, P. H. “Absence of U. S. Energy Leadership.” Science, 189 (1975): p. 11. __________. “Energy Conservation Is Not Enough.” Science, 196 (1977): p. 1159. __________. “How Much More Oil? Science 198 (1977): p. 451. Covault, C. “Views Change on Power Satellite Work.” Aviation Week & Space Technology, July 17, 1978, pp. 42-46. Flower, A. R. “World Oil Production.” Scientific American, March 1978, pp. 42-49. Gordon, R. L. “The Hobbling of Coal: Policy and Regulatory Uncertainties.” Science 200 (1978): pp. 153-58. Hayes, E. T. “Energy Resources Available to the United States, 1985 to 2000.” Science 203 (1979): pp. 233-39. Holdren, J. P. “Fusion Energy in Context: Its Fitness for the Long Term.” Science 200 (1978): pp. 168-80. Hubbert, M. K. “Role of Geology in a Maturing Industrial Society.” Resource Geology Seminar Series, California Institute of Technology, May 8, 1979. Landsberg, H. H. “Coal: The New Swing Fuel?” Science 197 (1977): p. 9. Marshall, E. “A Preliminary Report on Three Mile Island.” Science 204 (1979): pp. 280-81. Maugh, T. H. “Oil Shale: Prospects on the Upswing . . . Again.” Science 198 (1977): pp. 1023-27. Metz, W. D. “Mexico: The Premier Oil Discovery in the Western Hemisphere.” Science 202 (1978): pp. 1261-65. __________. “Ocean Thermal Energy: The Biggest Gamble in Solar Power.” Science 198 (1977): pp. 178-80. Nagel, T. J. “Operating a Major Electric Utility Today.” Science 201 (1978): pp. 985-93. O’Leary, J. F. “Facing the Energy Facts.” Astronautics and Aeronautics, February 1979, pp. 36-40. Parkins, W. E. “Engineering Limitations of Fusion Power Plants.” Science 199 (1978): pp. 1403-8. Robertson, J. A. L. “The CANDU Reactor System: An Appropriate Technology.” Science 199 (1978): pp. 657-64. Steiner, D., and Clarke, J. F. “The Tokamak: Model T Fusion Reactor.” Science 199 (1978): pp. 1395-1403. Swabb, L. E. “Liquid Fuels from Coal: From R & D to an Industry,” Science 199 (1978): pp. 619-22. Beichel, R. “The Dual-Expander Rocket Engine—Key to Economical Space Transport.” Astronautics and Aeronautics, November 1977, pp. 44-51. __________. “Nozzle Concepts for Single-Stage Shuttles.” Astronautics and Aeronautics, June 1975, pp. 16-27. Hearth, D. P., and Preyss, A. E. “Hypersonic Technology—Approach to an Expanded Program.” Astronautics and Aeronautics, December 1976, pp. 20-37. Hearth D. P. Outlook for Space. NASA SP-386. Washington: U. S. Government Printing Office, 1976. Jones, R. A., and Huber, P. W. “Toward Scramjet Aircraft.” Astronautics and Aeronautics, February 1978, pp. 38-48. Lay, B. Earthbound Astronauts. Englewood Cliffs, N.J.: Prentice-Hall, 1971. “Liquid Rockets.” In “Aerospace Highlights of 1978,” Astronautics and Aeronautics, December 1978, pp. 60-61. Rosen, M. W.; Pickering, W. H.; Lucas, W. R.; Sloop, J. L.; Schriever, B. A.; Phillips, S. C.; and Raborn, W. F. “Rocketry in the ’50s.” Astronautics and Aeronautics, October 1972, pp. 38-65. Salkeld, R. “Mixed-Mode Propulsion for the Space Shuttle.” Astronautics and Aeronautics, August 1971, pp. 52-58. __________. “Orbital Rocket Airplanes—A Fresh Perspective.” Astronautics and Aeronautics, April 1976, pp. 50-52. __________. “Single-Stage Shuttles for Ground Launch and Air Launch.” Astronautics and Aeronautics, March 1974, pp. 52-63. Assessment Series, vol. I, 1978, New York: American Institute of Aeronautics and Astronautics. Simmons, H. “Space Shuttle: The Month that Was.” Astronautics and Aeronautics, March 1979, p. 6. Simpson, E. C., and Hill, R. J. “The Answer to the ‘Engine Deficiency’ Question.” Astronautics and Aeronautics, January 1978, pp. 52-57. Britton, W. R. “Space Spider—A Concept for Fabrication of Large Space Structures.” AIAA Paper 78-1655, American Institute of Aeronautics and Astronautics, 1978. Covault, C. “Structure Assembly Demonstration Slated.” Aviation Week & Space Technology, June 12, 1978, pp. 49-53. DaRos, C. J.; Freitag, R. F.; and Kline R. L. “Toward Large Space Systems.” Astronautics and Aeronautics, May 1977, pp. 22-31. Disher, J. H. “Next Steps in Space Transportation and Operations.” Astronautics and Aeronautics, January 1978, pp. 22-30. Hagler, T. “Orbital Construction Demonstration Study Final Report.” Grumman Aerospace Corp., Report NSS-OC–RP012, Contract NAS9-14916, June 1977. Hagler, R., and Patterson, H. G. “Learning to Build Large Structures in Space.” Astronautics and Aeronautics, December 1977, pp. 51-57. “Large Space Structures—Challenge of the Eighties.” Special section, Astronautics and Aeronautics, October 1978, pp. 22-59. Muench, W. “Automatic Fabrication of Large Space Structures—The Next Step.” AIAA Paper 78-1651, American Institute of Aeronautics and Astronautics, 1978. BORIS. Advertised in Scientific American, June 1978, p. 29. Covault, C. “Tank Tests Validate Structure Assembly.” Aviation Week & Space Technology, June 26, 1979, pp. 55-62. “Electronics.” Special issue, Science, March 18, 1977. Holden, C. “The Empathic Computer.” Science 198 (1977): p. 32. “Microelectronics.” Special issue, Scientific American, September 1977. Miller, K. H., and Davis, E. “Solar Power Satellite Construction and Maintenance: The First Large Scale Use of Man-in-Space.” AIAA paper 78-1637, American Institute of Aeronautics and Astronautics, 1978. Olson, R. L.; Samonski, F. H.; and Miller, K. H. “Human Factors in Power Satellite Construction.” In Power Satellites and the Industrial Use of Lunar Resources, edited by T. A. Heppenheimer, AIAA Progress in the Astronautical Sciences, American Institute of Aeronautics and Astronautics, forthcoming. Shakespeare, W. King Henry V, act 4, scene 3, 1599. “Space Station: A Guide for Experimenters.” Space Division, Rockwell International Corp. SD 70-534, Contract NAS9-9953, October 1970. Tewell, R. J. and Spencer, R. A. “Advanced Teleoperator Spacecraft.” AIAA Paper 78-1665, American Institute of Aeronautics and Astronautics, 1978. “Toward Space Robotics and Automation.” Special section, Astronautics and Aeronautics, May 1979, pp. 16-46, 63. Austin, R. E. “Space Colonization by the Year 2000: An Assessment.” NASA Marshall Space Flight Center, January 15, 1975. Bock, E. “Lunar Resources Utilization for Space Construction.” Final Report GDC–ASP79-001, General Dynamics Convair Division, Contract NAS9-15560, May 1979. Greenberg, R.; Wacker, J. F.; Hartmann, W. K.; and Chapman, C. R. “Planetesimals to Planets: Numerical Simulation of Collisional Evolution.” Icarus 35 (1978): pp. 1-26. Hartmann, W. K. “Planet Formation: Mechanism of Early Growth.” Icarus 33 (1978): pp. 50-61. Heppenheimer, T. A. “Achromatic Trajectories and Lunar Material Transport for Space Colonization.” Journal of Spacecraft and Rockets 15 (1978): pp. 176-83.
and Rockets 15 (1978): pp. 305-12. Marshall, E. “Assessing the Damage at TMI.” Science 204 (1979): pp. 594-96. Rossin, A. D., and Rieck, T. A. “Economics of Nuclear Power.” Science 201 (1978): pp. 582-89. Connor, T. “The Rose Garden Nobody Promised.” Saltwater Papaya (Canal Zone College student magazine), Spring 1977, pp. 18-20. McCullough, D. The Path Between the Seas. New York: Simon & Schuster, 1977. Parsons, H. M. “What Happened at Hawthorne?” Science 183 (1974): pp. 922-32. Cole, D., and Cox, D. W. Islands in Space. New York: Chilton Press, 1964. Cortright, E. M. Exploring Space with a Camera. NASA SP-168. Washington, D.C.: U. S. Government Printing Office, 1968. Watson, K.; Murray, B. C.; and Brown, H. “The Behavior of Volatiles on the Lunar Surface.” Journal of Geophysical Research 66 (1961): pp. 3033-53. Wetherill, G. “Apollo Objects.” Scientific American, March 1979, pp. 54-65. Calame, O., and Mulholland, J. D. “Lunar Crater Giordano Bruno: A.D. 1178 Impact Observations Consistent with Laser Ranging Results.” Science 199 (1978): pp. 875-77. De Lumley, H. “A Paleolithic Camp at Nice.” Scientific American, May 1969, pp. 42-50. Hartung, J. B. “Was the Formation of a 20-Km Diameter Impact Crater on the Moon Observed on June 18, 1178?” Meteoritics 11 (1976): pp. 187-94. Horowitz, P. “A Search for Ultra-Narrowband Signals of Extraterrestrial Origin.” Science 201 (1978): pp. 733-35. Hynek, J. A. The UFO Experience: A Scientific Inquiry. Chicago: Henry Regnery, 1972. Freeman J., and Lampson, M. “Interstellar Archaeology and the Prevalence of Intelligence.” Icarus 25 (1975): pp. 368-69. Jones, E. M. “Colonization of the Galaxy.” Icarus 28 (1976): pp. 421-22. __________. “Further Calculations of Interstellar Colonization.” Report LA–UR 79-738, Los Alamos Scientific Laboratory, New Mexico, March 1979. __________. “Interstellar Colonization.” Journal of the British Interplanetary Society 31 (1978): pp. 103-7. Martin, A. R., ed. “Project Daedalus.” Journal of the British Interplanetary Society, Supplement, 1978. Sagan, C., ed. “Communication with Extraterrestrial Intelligence.” Cambridge, Massachusetts: MIT Press, 1973, p. 186. Sagan, C., and Page, T., eds. UFO’ s—A Scientific Debate. Ithaca, N.Y.: Cornell University Press, 1972. “Space Watch’s First Catch.” Time, March 7, 1960, p. 80. See also Time, February 22, 1960, p. 14. Thomas, L. The Lives of a Cell. New York: Viking, 1974. “UFO Encounter.” Astronautics and Aeronautics, July 1971, pp. 66-70. “UFO Encounter II.” Astronautics and Aeronautics, September 1971, pp. 60-64. Viewing, D. R. J.; Horswell, C. J.; and Palmer, E. W. “Detection of Starships.” Journal of the British Interplanetary Society 30 (1977): pp. 99-104. Asimov, I. The Left Hand of the Electron. New York: Dell, 1972. Ball, J. A. “The Zoo Hypothesis.” Icarus 19 (1973): pp. 347-49. Becker, C. L. Modern History. Chicago: Silver Burdett Co., 1958. Carson, R. The Sea Around Us. New York: Signet Science Library, 1961. Hart, M. H. “An Explanation for the Absence of Extraterrestrials on Earth.” Quarterly Journal of the Royal Astronomical Society 16 (1975): pp. 128-35. Jones, E. M. “The Zoo Hypothesis Revisited.” In Proceedings of the Southwest Regional Conference for Astronomy and Astrophysics, edited by P. F. Gott and P. S. Riherd. Las Cruces, New Mexico, May 22, 1978. Manchester, W. The Arms of Krupp. New York: Bantam, 1970, p. 50. Papagiannis, M. D. “Could We Be the Only Advanced Technological Civilization in the Galaxy?” Astronomical Contributions of Boston University, Series II, no. 61, 1977. Prelog, V. “Chirality in Chemistry.” Science 193 (1976): pp. 17-24. Viewing, D. R. J., and Horswell, C. J. “Is Catastrophe Possible?” Journal of the British Interplanetary Society 31 (1978): 209-16. Abelson, P. H. “Energy and Climate.” Science 197 (1977): p. 941. Ardrey, R. The Hunting Hypothesis. New York: Atheneum, 1976. Broecker, W. S. “Climatic Change: Are We on the Brink of a Pronounced Global Warming?” Science 189 (1975): pp. 460-63. Cohen, S. N. “The Manipulation of Genes.” Scientific American, July 1975, pp. 24-33. __________. “Recombinant DNA: Fact and Fiction.” Science 195 (1977): pp. 654-57. Eaton, W. J. “Inflation May Curb Population Growth.” Los Angeles Times, May 4, 1979, p. 4. Emiliani, C. et. al. “Paleoclimatological Analysis of Late Quaternary Cores from the Northeast Gulf of Mexico.” Science 189 (1975): pp. 1083-88. Grobstein, C. “The Recombinant-DNA Debate.” Scientific American, July 1977, pp. 23-33. Holden, C. “Paul MacLean and the Triune Brain.” Science 204 (1979): pp. 1066-68. Kerr, R. A. “Carbon Dioxide and Climate: Carbon Budget Still Unbalanced.” Science 197 (1977): pp. 1352-53. Keyfitz, N. “World Resources and the World Middle Class.” Scientific American, July 1976, pp. 28-35. McLean, D. M. “A Terminal Mesozoic ‘Greenhouse’: Lessons from the Past.” Science 201 (1978): pp. 401-06. Wattenberg, B. J. The Real America. New York: Capricorn Books, 1976. Westoff, C. F. “Marriage and Fertility in the Developed Countries.” Scientific American, December 1978, pp. 51-57. Woodwell, G. M. “The Carbon Dioxide Question.” Scientific American, January 1978, pp. 34-43.